COME AND CHECK OUT THE AMAZING VIEWS! The office building at Lõõtsa 12 was named after Alexandre Liwentaal, an aviator and aviation promoter with Estonian roots. His namesake of an office building will create an imaginary bridge between the nearby airport and Ülemiste City. According to historical records, Alexandre Liwentaal flew for the first time in 1894 in England, ten years before the famous Wright brothers. The glider built by the man himself managed to cross the distance of as much as 80 meters in the air.  In 1897, Liwentaal crossed the Alps in a hot air balloon and in 1906, he took part in a National Geographic expedition with the aim of reaching the North Pole by a hot air balloon. 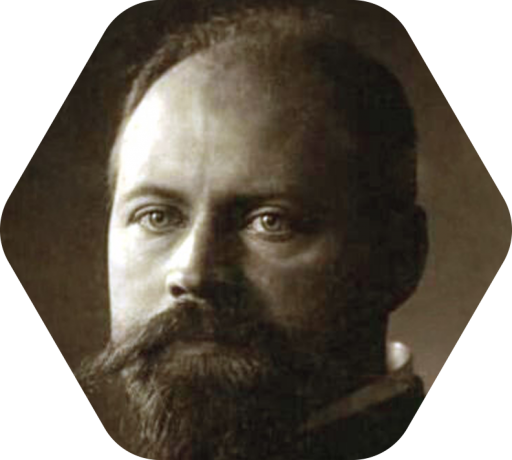 Alexandre Liwentaal worked with King George V of England and with the famous Count Zeppelin. He lived in twelve different countries and was involved in about twenty different fields of activity, including automotive and military industries in addition to aviation. Liwentaal was a multitalented person of a curious and searching nature who left a significant mark in the history of aviation. 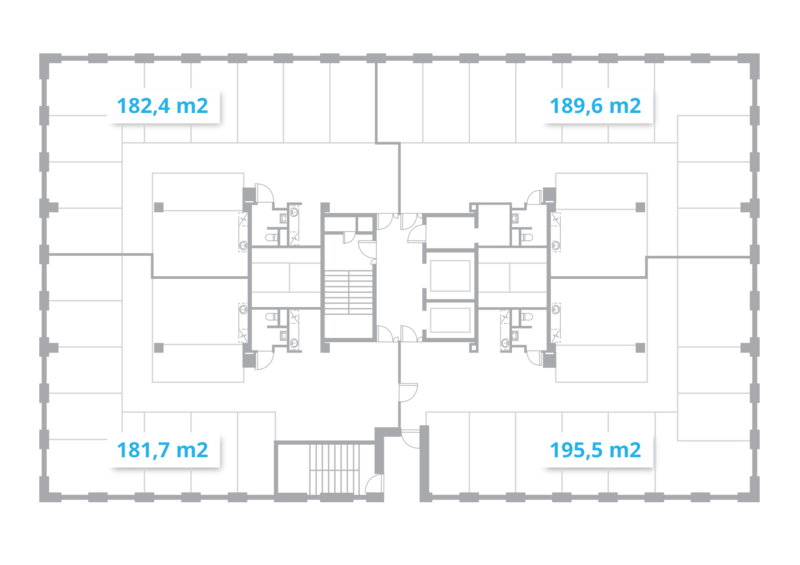 Standard floors (floors 3–13) can be used as a single large office or divided into up to four separate offices. 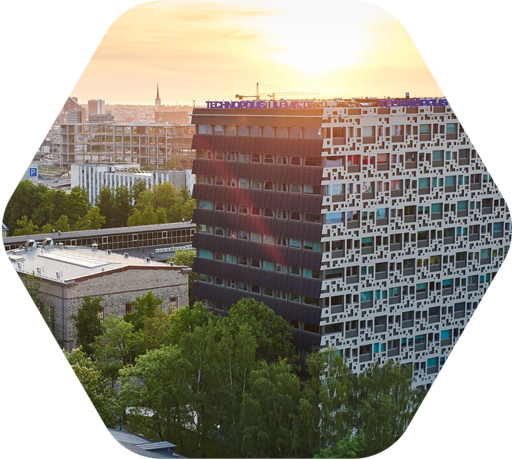 The exterior façade of the Alexandre Liwentaal Office Building is designed ethereally, imitating the pattern of a honeycomb. The main entry to the office building is marked by a portal distinct from the main façade at the height of two floors. 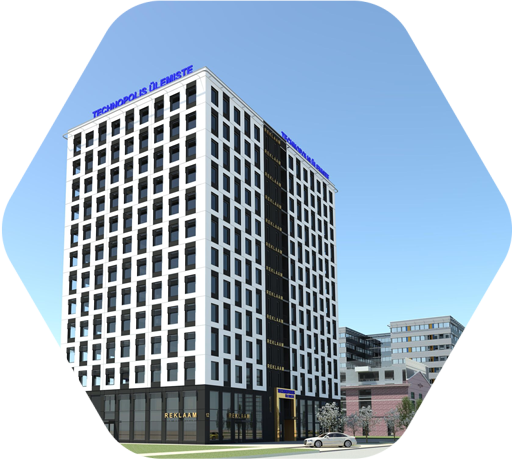 The exterior of the office building has been harmonized with the vertical design elements of the neighboring Valukoja parking house and the historical terminal building of the airport. Ambitious ideas may be born at any time; thus, there is around-the-clock access to the building. 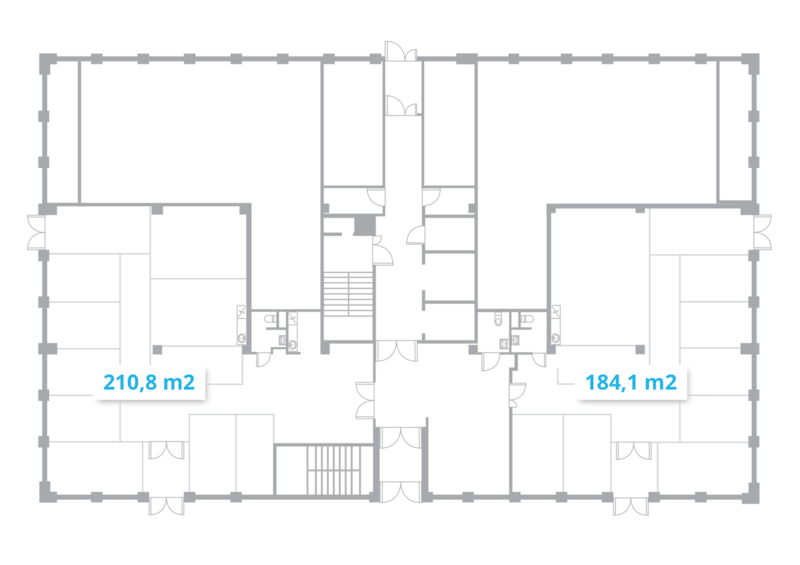 There are leased office spaces on all the floors of the Alexandre Liwentaal Office Building with the elevator hall and stairwell in the middle. The offices on the first floor also have separate entries. 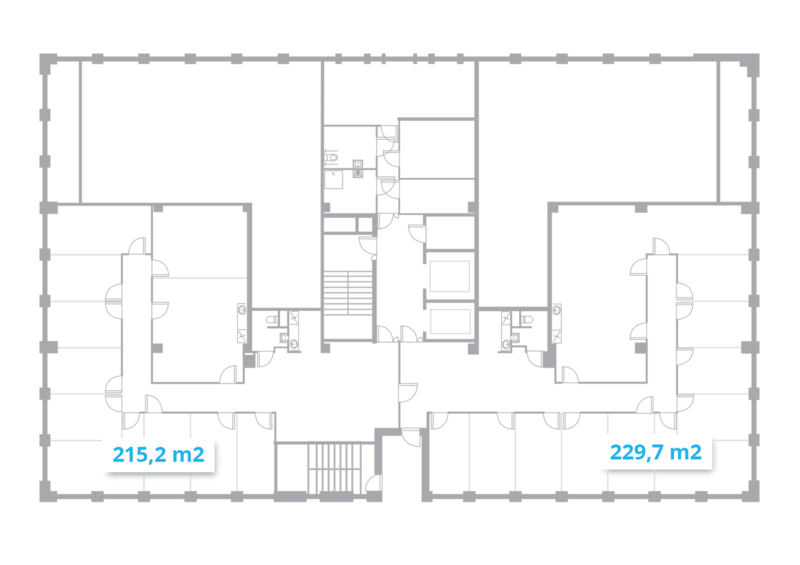 The standard floors (floor 3–13) of the Alexandre Liwentaal Office Building can be used as a single large office space or divided into up to four separate offices. The elaborate layout of utility systems enables dividing the premises flexibly. This allows changing the office spaces as needed with the help of prefabricated wall panels. The top-level utility systems of the office building allow the lessees to create the interior climate they desire. If necessary, different temperatures can be set for each 2.5 m room module. Lights are installed at the center of work zones, distributing eye-friendly light based on the most appropriate generally accepted standard. The building is heated in an environmentally friendly manner with the help of a gas boiler plant on the first floor. We provide design services for office spaces, which enable modelling the layout of an office with furniture based on the profile of the employees’ work. All packages include floorings, prefabricated wall modules, high interior doors, toilets and electrical solutions, kitchen furniture and appliances. 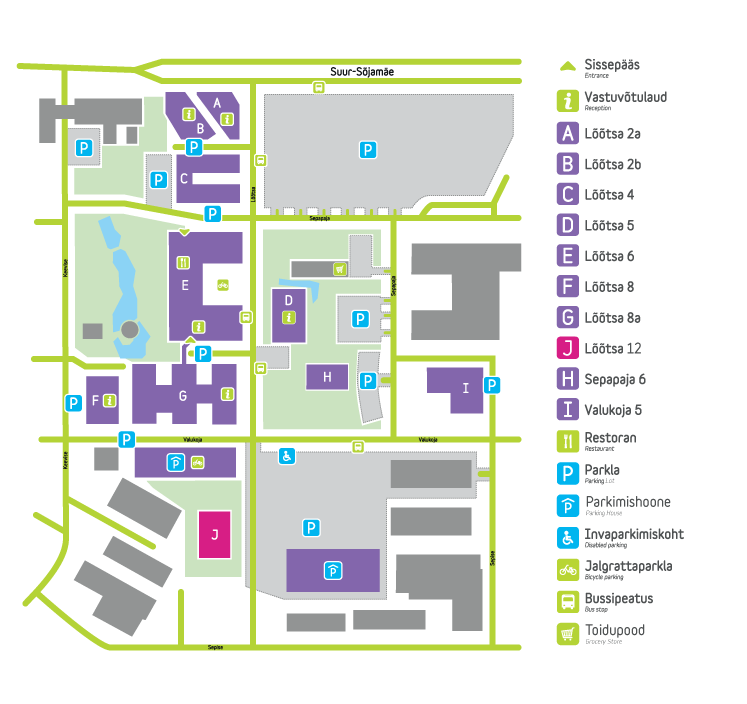 Ülemiste City is the largest and quickest developing business campus in the Baltic countries. It is compactly situated on a 36-hectare plot in Tallinn, next to the Lennart Meri Airport. The favorable location and the development of the business campus based on the concept of a smart city have expanded the surface area of the office premises in Ülemiste City to 100,000 m2 with approximately 300 successful companies with more than 7,000 employees operating on the premises. Ülemiste City has given the historical industrial area a new lease of life. The former heavy industries have been replaced by modern office spaces, as well as green areas and parks, which bind the offices into a unified whole, creating an inspiring environment for all the companies operating here. 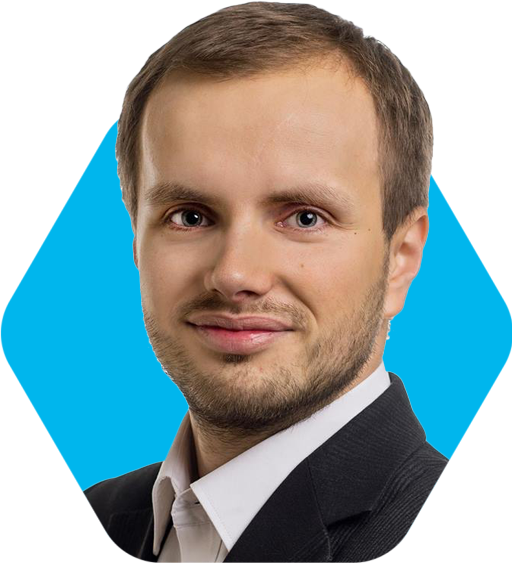 Thanks to the active development of the business campus, convenient transport connections have been established with Peterburi and Tartu roads, as well as downtown. We ensure a well-functioning parking system with various spacious outdoor parking lots for the lessees and visitors of the business campus. The first 2 hours of parking is free for visitors using a parking clock. The business campus also has a 6-floor, 280-space parking house. 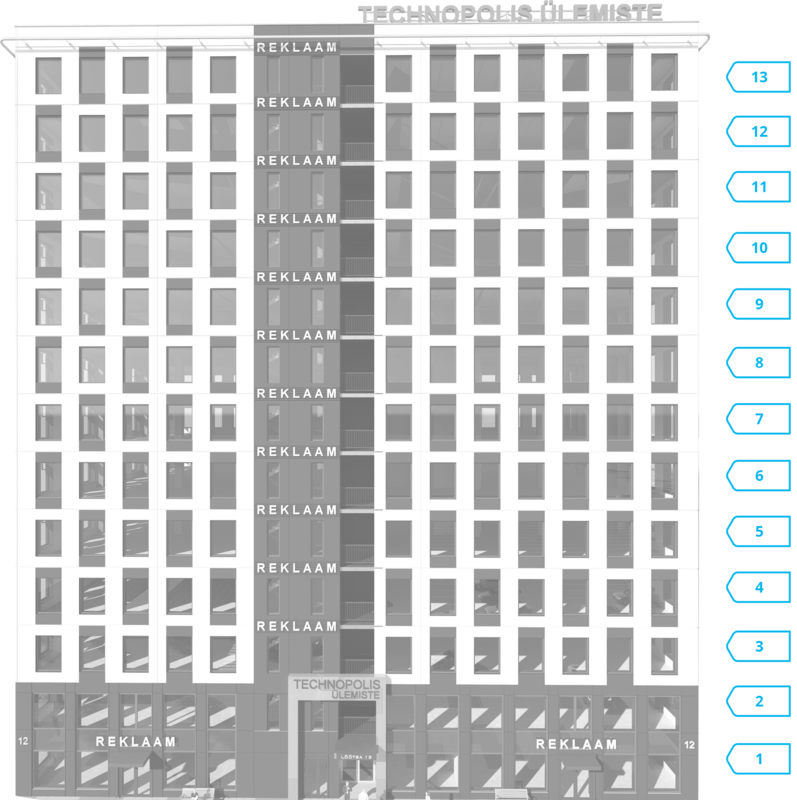 The Alexandre Liwentaal Office Building will be serviced by a new nearby 440-space parking house. Technopolis Ülemiste AS is the major developer of the Ülemiste City business campus located in the immediate vicinity of the Tallinn Airport. 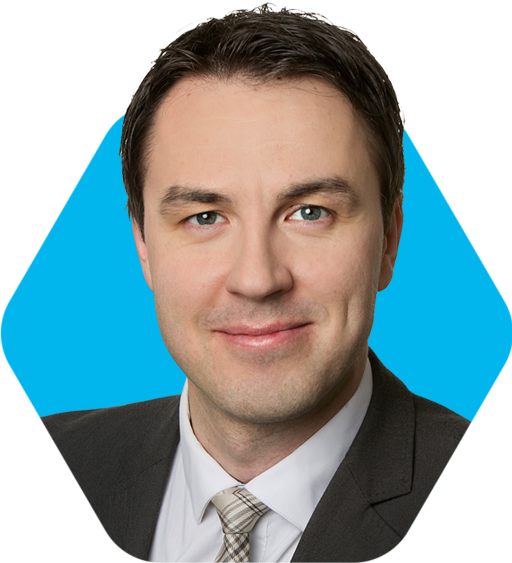 In 2015, Technopolis Ülemiste was named the most competitive real estate company in Estonia. 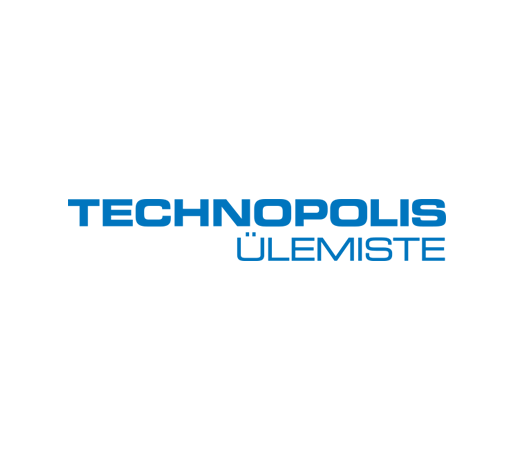 Technopolis Ülemiste AS is owned by the public limited company Mainor Ülemiste and by a Finnish publicly traded company Technopolis Plc with the shareholdings of 49% and 51%, respectively. 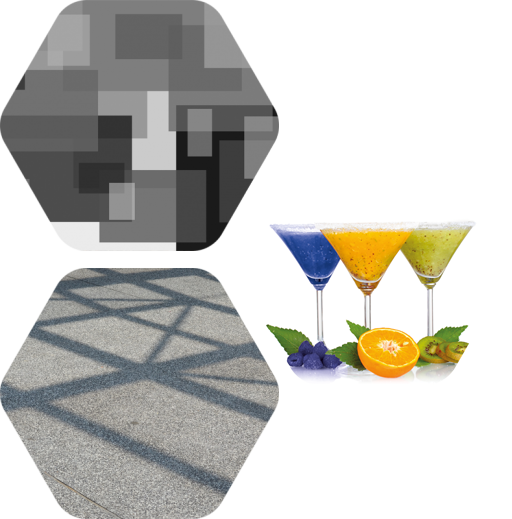 We are part of the Technopolis Group and render first class services, as well as provide flexible and modern office premises in 20 business campuses in Finland, Sweden, Norway, Estonia, Russia, and Lithuania. We provide services to our lessees in more than 120 modern office buildings employing nearly 49,000 people. The elaborate work environment ensures around-the-clock smooth operations. Our services increase the efficiency of businesses, keep expenditure under control, and decrease the environmental load. The services provided to the employees of the business campus help them to smoothly take care of their daily errands. 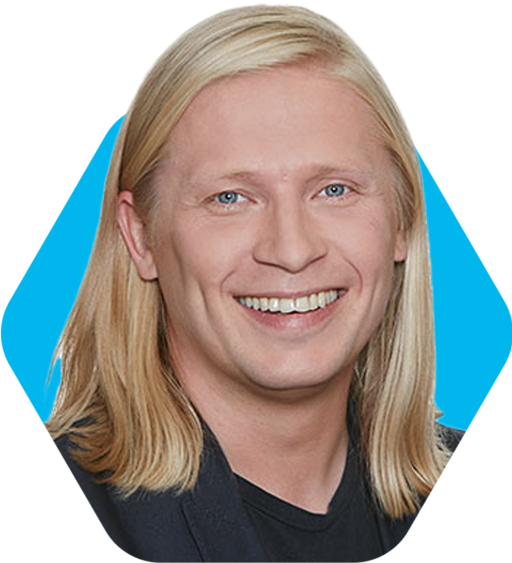 Among other things, our business campus houses Dvigatel – the largest restaurant in Estonia, a kindergarten, a dentist’s practice, a private physicians’ center, a dry cleaners, sports club with a swimming pool and a grocery store. Our business campus brings together inspirational people. The pleasant environment and interesting events of the business campus make communication with one another easy. Introduce your services, organize meetings and joint events, and let us create new productive contacts together!